All IRt/c models with the “A” designator (example: IRt/c.10A-K-LoE) can be field calibrated for the specific requirements of the application to precisely indicate the actual temperature of the target, and to correct for reflective errors caused by ambient variations (see Tech Note #64). The basic operation of the IRt/c adjustment is to rescale the signal output until it matches the actual temperature for the thermocouple type in use. 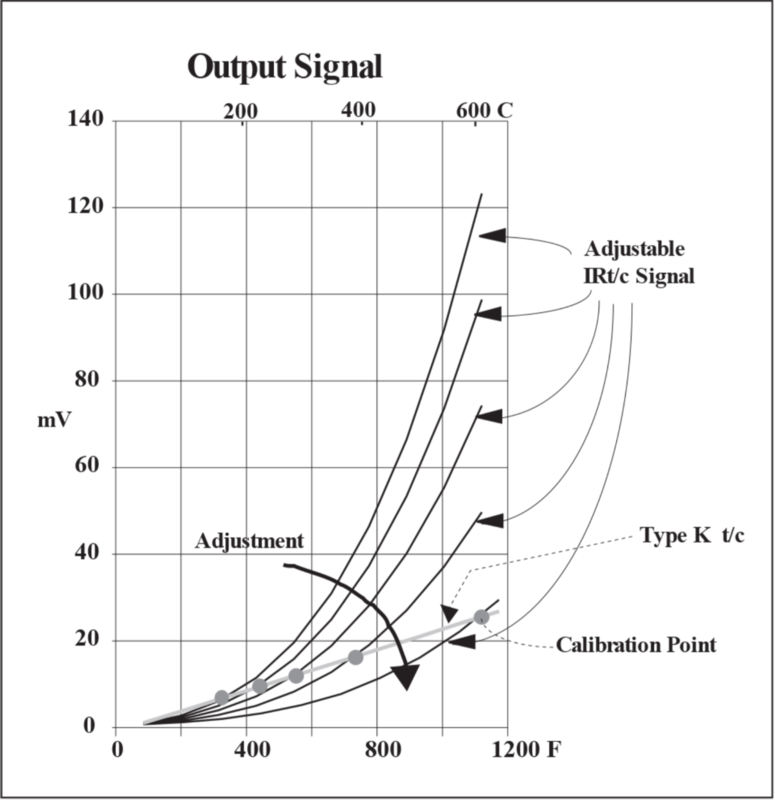 In the vicinity of the calibration point, the output will match the linearity of the t/c. When the adjustment is made to actual temperature, the Automatic Ambient Compensation System is automatically correctly scaled. The above chart shows the actual performance of a .10A-HiE model as an illustration of the effect of adjustment on the signal.